Left-wing Israel organization praises attempt to repeal Kansas anti-BDS law. The New Israel Fund (NIF) praised the American Civil Liberties Union (ACLU) for its lawsuit against an anti-BDS law of the State of Kansas. "Thank you to the @ACLU for your leadership on this," the NIF wrote on it's Twitter account Wednesday, linking to the ACLU's announcement of its lawsuit against the prohibiting the state from doing business with companies that participate in the BDS movement against Israel. The New Israel Fund released an official statement endorsing the ACLU's lawsuit. 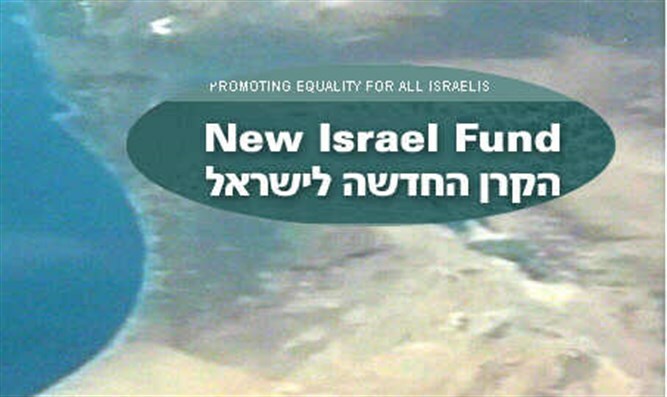 The NIF, a left-wing organisation, has been accused of supporting the BDS movement, working to undermine the State of Israel, and supporting terrorists. Donations to the NIF have dropped over the past two years, falling approximately 20% in 2016.